Over 40% of NHS GP practices across the country have a voluntary Patient Participation Group (PPG) though they may not all be known as such. Each PPG is different, evolving to meet local needs, but they all work to give their practices a ‘patient’ perspective on their Practice services. Here are some likely questions and answers to give you a flavour of the work involved. What is Winyates Patient Outlook? The PPG at Winyates Health Centre is a volunteer group known as ‘Winyates Patient Outlook’. The aim of the Outlook group is to promote and develop an effective, constructive and inclusive partnership between patients and the practice, that improves relationships, the quality of services offered and the setting in which care is provided. But why “Winyates Patient Outlook”? How does Winyates Patient Outlook gather patient’s views? 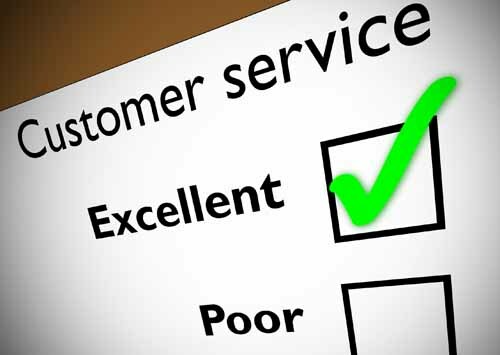 Everyone at Winyates Health Centre is dedicated to giving the best possible service to their patients and, in doing so, welcomes constructive comments to make further improvements. The Patient Outlook group are always keen to hear your suggestions to improve the patient experience and you may contact the Outlook group direct by using the contact form on the Health Centre website. In addition, views are sought by email direct from patients and in regular ‘face-to-face’ meetings at the Health Centre. An important data gathering exercise is the Annual Patient Survey questionnaire which can be completed online and is also available in paper format, from the Health Centre Reception. So how is Winyates Patient Outlook organised? Winyates Patient Outlook consists of two complimentary elements. The first is a large “virtual” Patient Outlook group who receive occasional Outlook emails requesting their opinion on various matters concerning health services at the Centre. The members of this group do not meet together. The second element is a smaller “actual” Patient Outlook group which meets at the Health Centre every two months to review suggestions from patients and other matters related to improving the services offered at the Centre. How can I become involved in Winyates Patient Outlook? Winyates Patient Outlook welcomes all patients registered at Winyates Health Centre to become members of the “virtual” Outlook group. Outlook aims to recruit members to represent all age and ethnicity groupings in proportion to those registered in the Practice patient list. To join the virtual Outlook Group please follow the link: Join the Virtual Winyates Patient Outlook and fill in the simple online form. When you have joined the virtual Patient Outlook group and are ready to become more involved, you may like to offer to become a member of the “actual” Patient Outlook group which meets together every other month at the Health Centre. Please follow the link: Winyates Patient Outlook Constitution to learn how the group is administered. Date of next meeting: TBC.